Corey Taylor says Slipknot's next album, the band's sixth, will “absolutely” arrive in 2019, according to a new video interview with Musik Universe. Watch the Slipknot and Stone Sour frontman's full chat down below. While Slipknot percussionist M. Shawn “Clown” Crahan has hinted that the band's forthcoming full-length will likely be his last, he's still been working on new material with the group. 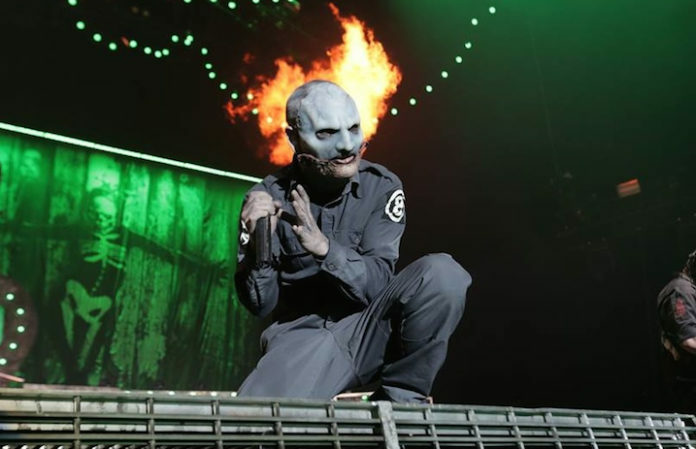 After some confusion late last year when Taylor admitted he hadn't yet heard the new Slipknot material due to his touring schedule with Stone Sour, the vocalist now says he's heard six instrumental tracks—and that they're “awesome”—as pointed out by Metal Injection. But will it be the band's—or just Crahan's—last effort? Taylor adds fuel to the fire on that speculation, the musician affirming Crahan's desire to wrap up Slipknot in the near future and claiming he wouldn't carry on without him. Are you ready for a new Slipknot album, the band's first since 2014's .5: The Gray Chapter? Sound off in the comments.